Unlock Sony Ericsson Xperia X10 mini (E10 E10a E10i) - Safe IMEI Unlocking Codes for You! 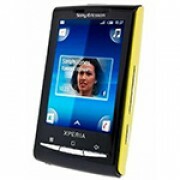 Unlock Sony Xperia X10 mini (E10 E10a E10i) Handset! In case your Xperia X10 mini (E10 E10a E10i) doesn't ask for the code and there is no designated field to enter it, please DON'T PLACE ANY ORDER, contact us first for support. The Xperia X10 Mini is a great smartphone, but if you want to make the most out of the experience, getting unlocked may be the one thing you need to break free of the chains of being locked to a certain network. SafeUnlockCode tries it’s best to make an unlock process for you that is fast, secure and 100% guaranteed to work whilst staying cheaper than original mobile network unlock fees. It’s so quick that once you get your code, it’ll take less than two minutes to get your X10 mini unlocked! Want to unlock a different phone? Try our A-Z list. Once your X10 Mini is unlocked, many networks will be available to you- including AT&T, O2, Orange, Telus, Bell, Rogers and a whole load more. Follow these guidelines to ensure a smooth unlock process! Find your IMEI - just dial in *#06# on your X10 Mini to show your IMEI! What network are you locked to? We don’t need to know what network you want to use after unlocking, but we do need to know what network you are currently locked to. Next you’ll need to check to make sure you still have unlock attempts remaining. Having no unlock attempts will mean you won’t be able to unlock your phone due to too many failed attempts, and if this is the case, DO NOT place an order with us as it just won’t work for you! Enter a new SIM card into the X10 Mini that is different to the one you are currently using, then turn on the phone. Now wait for the X10 mini to display the ‘emergency calls’ screen and then dial *#*#7378423#*#* or press - Menu Back Back Menu Back Menu Menu Back. A message should now appear. The number next to network will tell you the amount of unlock attempts you have left on your Xperia X10 Mini. If it’s above 0, you’re good to go! Otherwise, DO NOT place an order with us because it won’t work. How to Unlock Sony Xperia X10 mini (E10 E10a E10i) Phone - Tutorial! Now that you’ve got all of the rest of the steps done and dusted here is how to get your X10 Mini unlocked! First off, send us your IMEI, your locked network and country, and an email address so we can send you an unlock code. Now check pricing and availability options and then proceed to check out! Once your order has processed and you’ve received the unlock code email, pop in a SIM card that is different to your current network just like you did before and then turn on your Xperia X10 Mini. Once it’s on, the phone should prompt you for an unlock code- enter it here and you will unlock your phone! Having trouble finding the unlock prompt? Contact us for help.